University of Maryland football coach DJ Durkin and Athletic Director Damon Evans will keep their jobs, but President Wallace Loh announced plans to retire in June. At a news conference about the results of the independent investigation of the culture of the University of Maryland football program Tuesday, the University System of Maryland Board of Regents recommended that Durkin retain his job. "We believe coach Durkin has been unfairly blamed for the dysfunction in the athletic department," Board of Regents Chairman Jim Brady said. He added, "He has acknowledged his role in the athletics department’s shortcomings while he has served as head coach and he has committed to ensuring the proper reforms, working with the independent monitor to see that they are implemented." The family of 19-year-old offensive lineman Jordan McNair, who died of heatstroke June 13, two weeks after collapsing on the field during a preseason workout, wanted Durkin fired. "Today the board ratified and validated the heartbreaking actions by Coach Durkin and his staff towards Jordan in May by continuing the employment of the man who failed in his primary responsibility to Jordan," McNair family attorney Hassan Murphy. "I miss my son every day," said his mother, Tanya McNair. "And today it just didn’t help. Didn’t help at all." Gov. Larry Hogan also expressed disappointment in a statement. "Many will understandably question whether enough has been done to address the serious concerns that exist among many in the College Park community," he said in the statement. "I am one of them." "I think it says a lot about the University of Maryland that the president doesn't have the autonomy to fire a football coach," one student told News4. The University of Maryland Student Government Association said in a statement that the executive board is outraged by the Board of Regents' decision. The board announced a plan for Thursday to march from the library to the steps of an administration building. "We demand justice for Jordan McNair," they wrote. Durkin has been on paid administrative leave since Aug. 11, before the start of his third season at the school. It's unclear when he will return to the sideline. Maryland offensive guard Ellis McKennie tweeted about accountability. Loh announced his retirement at the Board of Regents news conference. "This will be my last year as president of the University of Maryland," he said. Prince George's County Executive Rushern Baker praised the job Loh has done at the university but expressed disappointment with the Board of Regents. "It is a shame that they appear to have put the short-term interest of building the university’s football program ahead of continuing the progress of Maryland’s flagship university," he said in a statement. 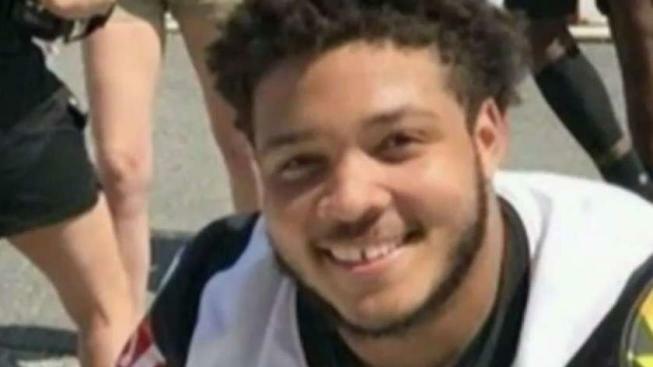 The 198-page report from the independent commission of eight people said the culture of the program was not the reason behind Jordan McNair's death. The investigation determined the team "did not have a toxic culture" under head coach DJ Durkin but was problematic enough to where players feared speaking out. The investigation found serious problems with the program that need serious reforms. Loh said plans for reform will be shared in the near future. The investigation cited Loh and Evans as having a part in the troubled program, but Brady said the board recommended both men be retained. The commission interviewed 165 people, including 55 athletes who played for Durkin and 24 parents of players. An external review of McNair's death found that the athletic staff made several mistakes in his treatment at the scene. In the wake of McNair's death, an ESPN story found the culture of the program to be "toxic." The University System of Maryland Board of Regents subsequently hired a team to investigate the charges. Offensive coordinator Matt Canada is serving as interim coach for the Terrapins. Rick Court, the head of strength and conditioning for the team when McNair collapsed, resigned on Aug. 13. The report said there were many occasions in which Court engaged in "abusive conduct" during his time at Maryland. The Board of Regents found Durkin failed to adequately supervise Court.